Checkout the Wizard. Not a real person. Too bad. 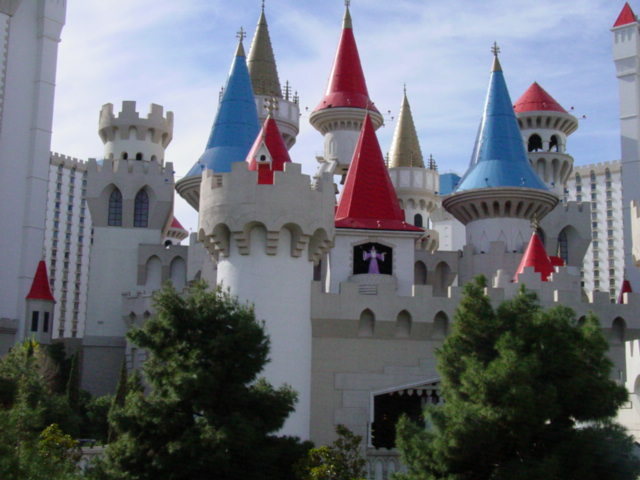 Excalibur Hotel.